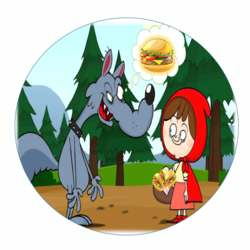 There's a wolf in my hamburger! You must be a member of the Santiago de Chile Hamburger & Lomitos Big Eaters Group to attend this activity. Would you like to join this group? And don't be worried about the hunter opening your stomachs, as he'll also be with us. So come on and join in this appetizing meeting.